17th Century French Baroque influenced designed tables with ornate table bases. 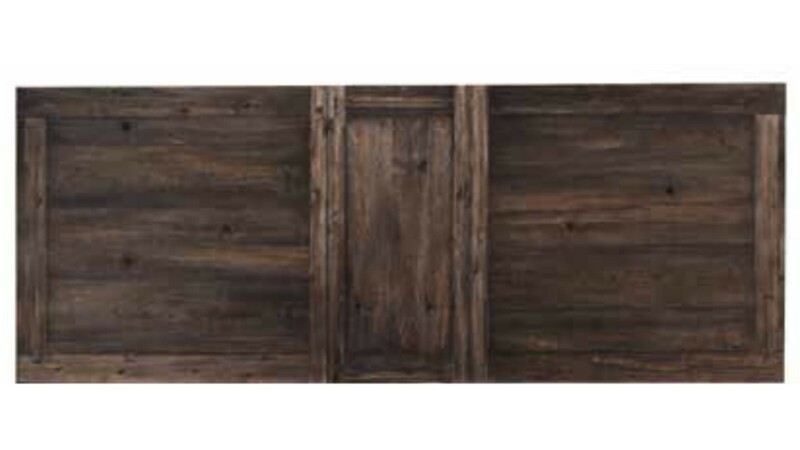 Crafted from solid pine with center veneer pine panels in a rich Smokey black rustic finish. Trestle dining table has an 20” extension leaf and seats up to eight guests comfortably. 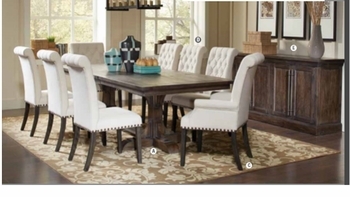 Choices of black leatherette parson chairs or cream fabric tufted parson chairs. Black leatherette chair is unique with double stitching all done by hand.